Titles secured earlier this year in both Germany and Australia, Japan’s Hina Hayata and Mima Ito occupy the top seeded position in the Women’s Doubles event at the Seamaster 2018 ITTF World Tour Platinum Liebherr Austrian Open; the concluding tournament on this year’s itinerary. Play starts on Thursday 8th November, following two days of qualification. Next in line is the Korea Republic partnership of Jeon Jihee and Yang Haeun, followed by Hong Kong’s Doo Hoi Kem and Lee Ho Ching. Notably all three partnerships have qualified for the Seamaster 2018 ITTF World Tour Grand Finals to be staged in Incheon in December. Likewise, China’s Chen Xingtong and Sun Yingsha, the no.5 seeds and recent winners in Stockholm will appear on the Incheon invitation list. 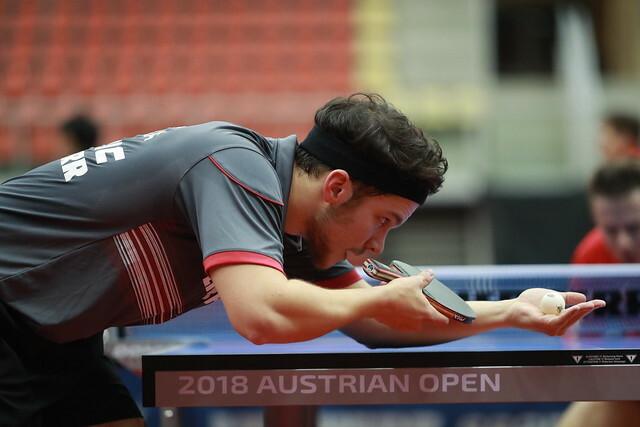 Four pairs assured for places in the Seamaster 2028 ITTF World Tour Grand Finals and there are four very strong contenders on duty in Linz who are quite possibly set to join them. Hong Kong’s Ng Wing Nam and Minnie Soo Wai Yam, the no.4 seeds, are listed at no.11 (258 points) on the Standings, Chinese Taipei’s Cheng Hsien-Tzu and Liu Hsing-Yan, the no.7 seeds at no.13 (138 points). The significant factor is all have fulfilled the necessary four tournament appearance criteria as a partnership. Pertinently, required to compete in the qualification tournament; by being present in Linz, China’s Chen Ke and Wang Manyu alongside colleagues Liu Gaoyang and Zhang Rui will also have competed as pairs in four tournaments. Following the Seamaster 2018 ITTF World Tour Swedish Open, on the Standings, Liu Gaoyang and Zhang Rui occupy fourth position (550 points), Chen Ke and Wang Manyu, fifth spot (400 points). Hong Kong’s Wong Chun Ting and Doo Hoi Kem reserve the no.3 seeded spot with the combination of Korea Republic’s Jang Woojin and DPR Korea’s Cha Hyo Sim, the no.4 seeds, the latter duo making their second appearance of the year. Further down the order, undoubtedly places await in Incheon for Slovakia’s Lubomir Pistej and Barbora Balazova, the no.5 seeds, as they do for Germany’s Ruwen Filus and Han Ying, the no.6 seeds.